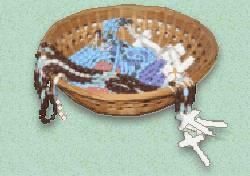 EASY STEPS to Learn how to make a Rosary or Scapular Try one of our Rosary or Scapular Kits for beginners! or the most commonly used for mission chain rosaries, what is referred to as "base metal,"
a collective term for any and all non-precious metals. and is the most affordable. One could also use 14k or 22k gold findings. who have a desire to own a rosary they will actually use. but kept in a box for years, and never used. 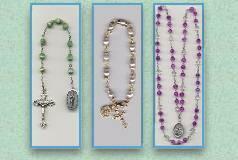 You will want to make your rosary with beautiful parts, but also ensure the strength and durability of the rosary.